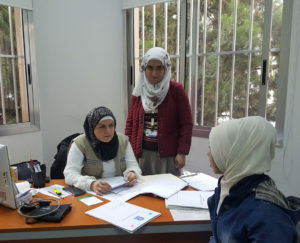 The Social Promotion Foundation celebrates the World Health Day 2019 on the 7th April, addressing the work of the Community Mental Health Center (CMHC) in Zahle which is key to promote that Syrian refugees and people from vulnerable host communities can obtain mental health care when they need it. Social Promotion Foundation began conducting mental health activities in the Bekaa region of Lebanon in 2015. 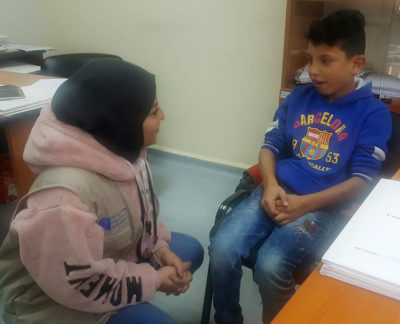 Since that time, the staff at the Zahle Community Mental Health Center (CMHC) have seen Syrians and Lebanese, including children/adolescents (5-17 years old) , suffering from a wide variety of mental health difficulties. Children who are exposed to difficult and stressful situations (such as the death of parents or other family members, separation, displacement, witness to traumatic events, violence/conflict in the family or community, and poverty), as well as children who are born with developmental disabilities, may have behavioral or psychiatric issues that require extra support and/or specialist care. 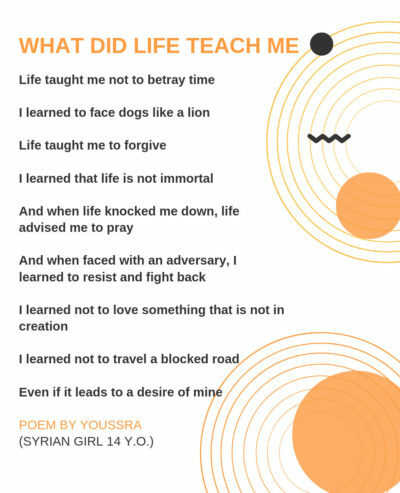 Youssra first came to the community mental health clinic one year ago after starting to experience visual hallucinations, her sleeping decreased and she became more irritable; she was also having trouble forming a complete sentence or a sentence that made sense, and her performance dropped in school. She was diagnosed with schizophrenia and she started to take medication from the Social Promotion Foundation. 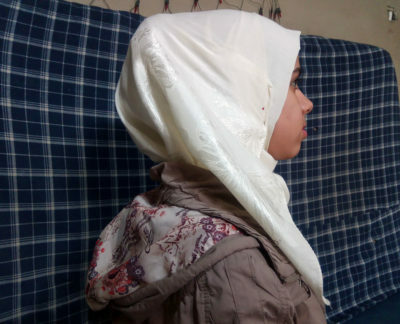 Back then, Youssra was 14 years old and her parents removed her from school and kept her locked at home, for they thought her condition brings them shame. 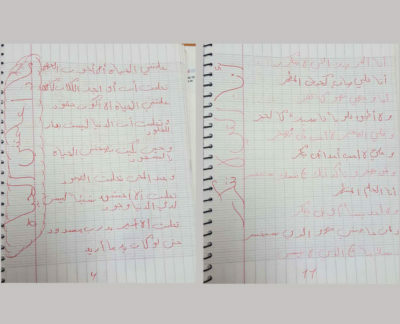 Youssra was put on antipsychotic medication and was closely monitored by both the psychiatrist and the MH nurse. It took almost 4 months for her to fully stabilize, but it took her family an entire year to adapt to this situation. Manal, Youssra’s mother was greatly affected by Youssra’s disease. Already she was under a lot of stress from them escaping their homes and leaving everything behind, to move to a place where they barely have enough to make ends meet. Youssra’s disease made Manal so sad and anxious about Youssra’s future, especially on certain days when she had an episode. This translated into increased anger and aggressive behavior with all of her family. Manal screamed at Youssra whenever she displayed a symptom, be it from her disease or as a side effect for the medication. She used to lock her in her room for hours on end, only allowing her some bathroom breaks. She got her to visit every Sheikh she could reach, hoping that her disease is an affliction and could be cured through prayer and holy practices. When nothing worked, she finally gave in to her Case Manager’s counseling and started to pay attention to the psycho-education provided by Mona. Add to that, Mona recruited Manal in her Community Support Group Sessions, whereby she met other caregivers of patients diagnosed with a psychotic disorder. This helped Manal calm down and learn not only from the sessions but also from the experiences of other caregivers on how to deal with their family members, and what symptoms to look for that could warn about a coming episode. Manal got better fast and relaxed, she also started taking care of her family again. Youssra was allowed to leave the house (not regularly or freely or alone), but it was considered an improvement. She started to help her mother again with the house and taking care of her 9 years old brother, Wassim. Wassim during these few months was greatly affected by his mother’s erratic behavior as well. He would wake up during the night to see her watching him, she was always looking at him, observing him wherever he went or whatever he did. Always asking him if he saw someone in the corner of the room, if he was hearing voices that did not exist. She would not let him go play with his friends whenever she could not accompany him… After a while Wassim started to wet the bed during the night a few days per month, which started to increase to become every single day. Mona referred Wassim to Marwa, our Senior Case Manager, who handled his case. He was diagnosed by the psychotherapist as having enuresis, an elimination disorder. Before referring Wassim for psychotherapy, Marwa referred the child to a GP (general practitioner of medicine) to be examined and eliminate any organic cause of enuresis. After getting examined and all the required tests were performed, it was concluded that the main cause of the problem was psychological and required therapy. Wassim continued to see the therapist who worked with him on resolving the underlying stressful event that was causing the enuresis. Both case managers Marwa & Mona were also working with both mother and child on some behavioral modification techniques to help with conditioning the child, like restricting liquids starting several hours before bedtime, waking Wassim up in the night to use the bathroom, giving positive reinforcement for dry nights and being sympathetic and understanding about wet nights. Things were going well, but symptoms in the entire family were still showing, the tension was present between the couple, Wassim still had some “wet nights”, and Youssra was still relapsing, even though she was adhering to her medication and following up on her treatment. When discussing the case with the entire team and the Technical Advisor, it was suggested to have a family therapy session. Manal was referred for psychotherapy, and she was also prescribed some medication by the psychiatrist for a few months for her elevated anxiety. She is currently doing much better and it is well reflected in the family. Wassim’s last bed wetting episode was 8 weeks ago, and Youssra registered in school again. She is learning to manage her disease and how to recognize symptoms that she might be having an episode to directly inform her case manager and the psychiatrist. 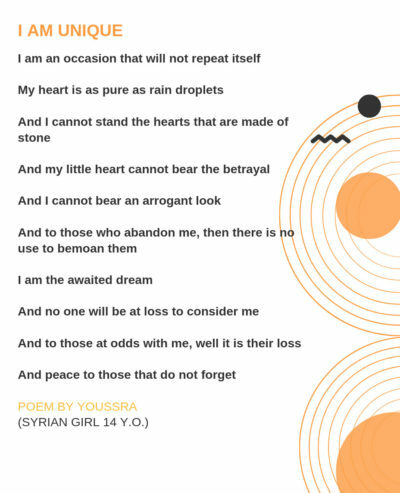 She is also back to writing poems as a means to express herself. She knows that she has a very long and hard road in front of her and that her diagnosis with schizophrenia will make her stronger somehow, she has yet to discover how though. 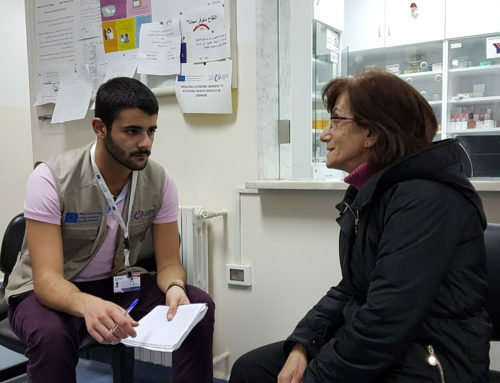 Since the start of the EU Madad REHBAS funding in March 2018, 98 children/adolescents (35 girls and 63 boys) have been assessed and treated at the CMHC for conditions including: intellectual disability, epilepsy, autism, attention deficit hyperactivity disorder (ADHD), conduct disorder, learning disabilities (like dyslexia), schizophrenia, post-traumatic stress disorder and adjustment disorder.